March 2, 2013: Seyyide featured at Lux Hookah Lounge. The Lux Hooka Lounge (18 Court Street, Plymouth MA), a social lounge dedicated to hookah smoking. Two shows, 9:30pm and 11:00 pm. Dinner, show and dancing at the Middle East corner (492 Massachusetts Avenue, Cambridge, MA). Middle Eastern menu, full bar. Opens at 8:00 pm until around 11 pm. Seyyide's performance will be around 9 pm. Middle East corner, 480 Massachusetts Ave., Cambridge, MA. From 7:30 pm to 9:00 pm. Live music by ”The New Flames of Araby”, Udi Joe Kouyoumjian Ensemble featuring: David Ansbigian and Garo Papazian, drums; with guest musicians. Dance shows by Seyyide Sultan is at 7:45 pm. Dinner, show and dancing. Cover charge: $5. Contact information: Za-Beth or PhaedraRose, zills@earthlink.net. March 24, 2013: Seyyide performing at "Cafe Raqs"
Center for the Arts at the Armory, 191 Highland Ave., Somerville, MA. Show from 7-9pm. 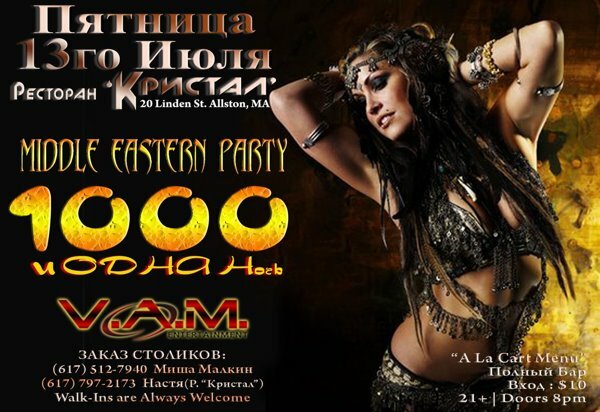 Organized by Bevin Victoria and Naraya, this new venue celebrates the beauty and diversity of the Boston bellydance and Tribal dance community. Coffee, wine, tea and other café treats! $5 suggested donation and tips are welcome and appreciated! Middle East corner, 480 Massachusetts Ave., Cambridge, MA. From 7:30 pm to 9:00 pm. Live music by ”The New Flames of Araby”, Udi Joe Kouyoumjian Ensemble featuring: Harry Bedrossian keys/vocals and Garo Papazian, drums; with guest musicians. Dance shows by Seyyide Sultan is at 7:45 pm. Dinner, show and dancing. Cover charge: $5. Contact information: Za-Beth or PhaedraRose, zills@earthlink.net. Middle East corner, 480 Massachusetts Ave., Cambridge, MA. From 7:30 pm to 9:00 pm. Live music by ”The New Flames of Araby”, Udi Joe Kouyoumjian Ensemble featuring: Harry Bedrossian keys/vocals and Garo Papazian, drums; with guest musicians. Dance shows by Il'Nara and Seyyide Sultan. Seyyide's show is at 7:45 pm. Dinner, show and dancing. Cover charge: $5. Contact information: Za-Beth or PhaedraRose, zills@earthlink.net. Dinner, show and dancing at the Middle East corner (492 Massachusetts Avenue, Cambridge, MA). Middle Eastern menu, full bar. Opens at 8:00 pm until around 11 pm. Seyyide's performance will be around 10 pm. December 15, 2012: Seyyide featured at Lux Hookah Lounge. Dinner, show and dancing at the Middle East corner (480 Massachusetts Avenue, Cambridge, MA). Middle Eastern menu, full bar. Opens at 8:00 pm until around 11 pm. Seyyide's performance will be around 10 pm. Live music by ”The New Flames of Araby”, Udi Joe Kouyoumjian Ensemble featuring: Harry Bedrossian keys/vocals and Garo Papazian, drums; with guest musicians. Dance show by Hayam and Seyyide Sultan. Dinner, show and dancing at the Middle East corner (480 Massachusetts Avenue, Cambridge, MA). From 7:30 pm to 9:00 pm. Cover charge: $5. Contact information: Za-Beth or PhaedraRose, zills@earthlink.net. 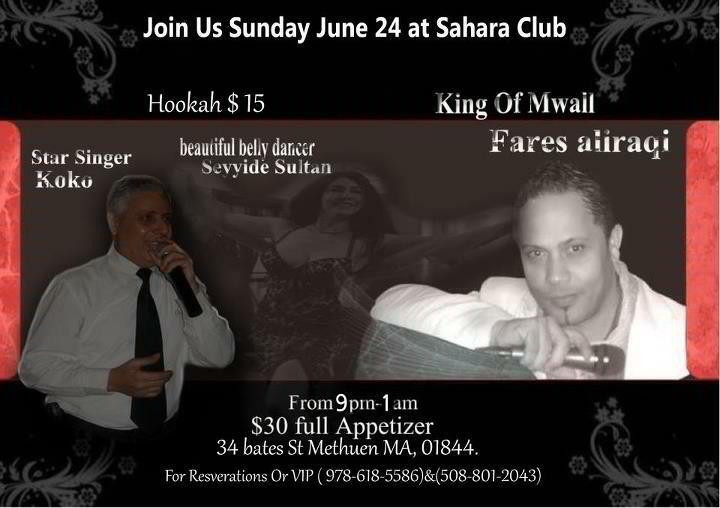 Dinner, show and dancing at the Middle East corner (480 Massachusetts Avenue, Cambridge, MA). Middle Eastern menu, full bar. Opens at 8:00 pm until around 11 pm. 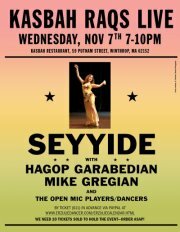 Featuring Seyyide, Hagop Garabedian, Mike Gregian, talented open mic dancers and lots of open dance time! Hagop invites musicians and drummers to sit in with the band, so bring your instruments. By ticket ($11) in advance via Paypal at www.erzuliedancer.com/erzuliecalendar.html. Children under 10 get in free. Dinner, show and dancing at the Middle East corner (472-480 Massachusetts Avenue, Cambridge, MA). Middle Eastern menu, full bar. Opens at 8:00 pm until around 11 pm. August 26, 2012: Short appearance performing at Za-Beth's "The USA 2012 World Champion Diva Crown". Tribute to George Abdo's music. 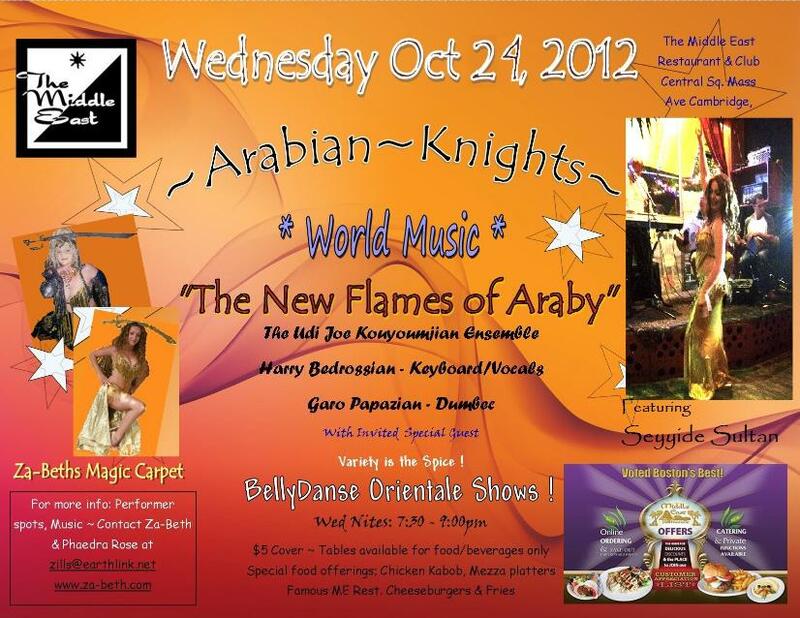 Dinner show and dancing at 49 Social for Arabic Night! Complete Arabic menu, full bar, live music by John Nassar, and amazing singing by Ahmad Alkaisi. Opens at 10 pm until 2am. Dance performance around midnight. 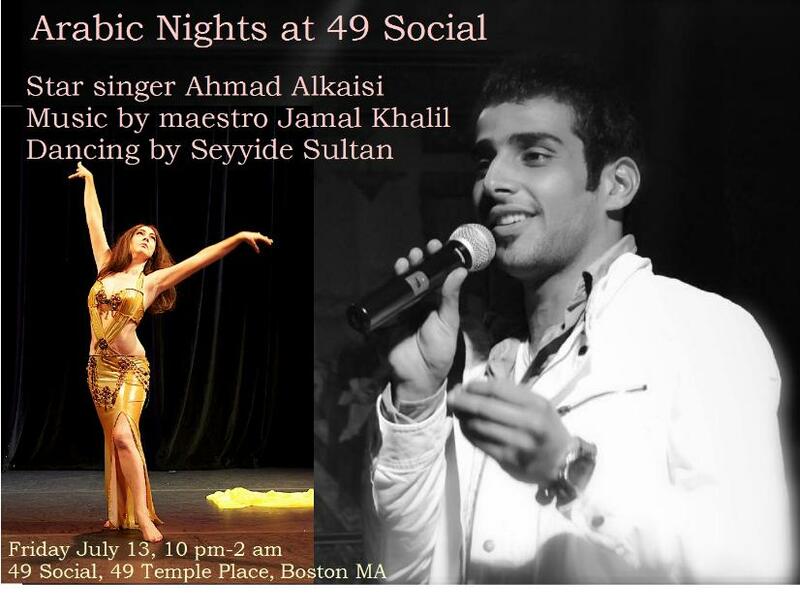 July 13, 2012: Seyyide performing at "Middle Eastern Party, 1001 nights" (Crystal Restaurant, 20 Linden St., Allston, MA). Opens at 8 pm. Dance performance around 10 pm. Iraq Star Fares Aliraqi, Star Singer Koko and Mohammed's music. 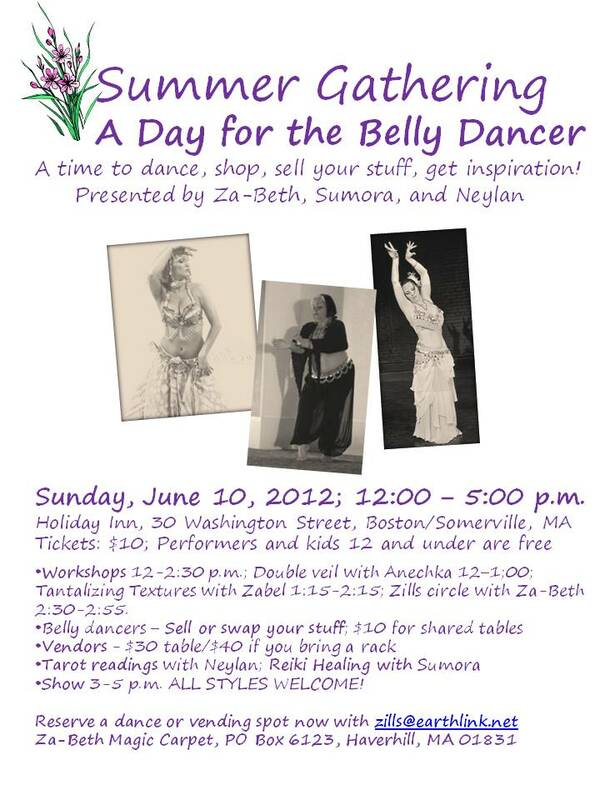 June 10, 2012: Short appearance performing at Za-Beth's "Day for the Belly Dancer".